Today I am sharing with you my Action Wobbles Design Team project. My inspiration for my card was this week's Mojo Monday Sketch. I created a 3.5 x 5.5 card. 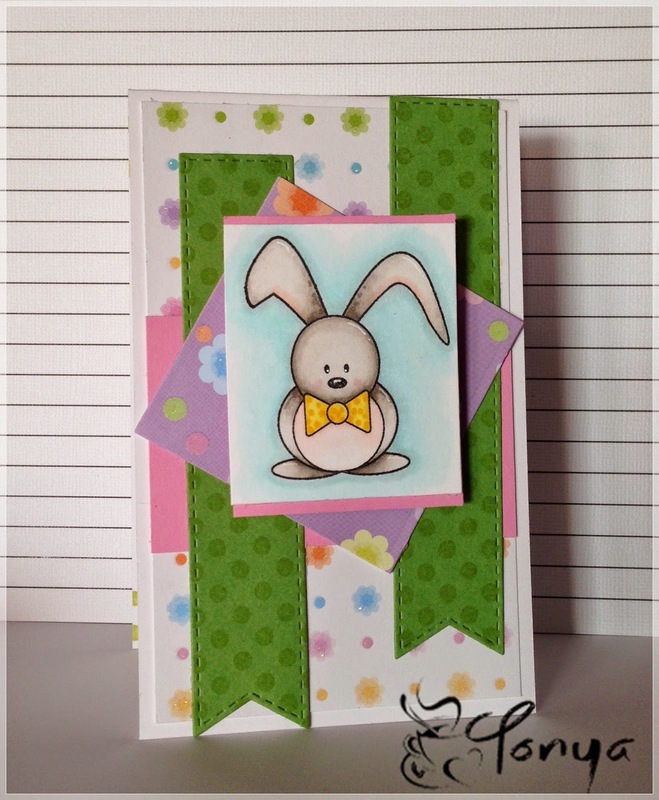 The image is from Verve Stamps. I stamped the image in MFT Black Licorice Hybrid Ink and colored him with my Copics. Isn't he the cutest? I used the sketch for my basic layout. The base mat and purple turned square mat are from a DCWV mat stack. I cut two fishtale flags from MFT and stamped them with Sour Apple ink and a Peachy Keen Stamps background stamp. 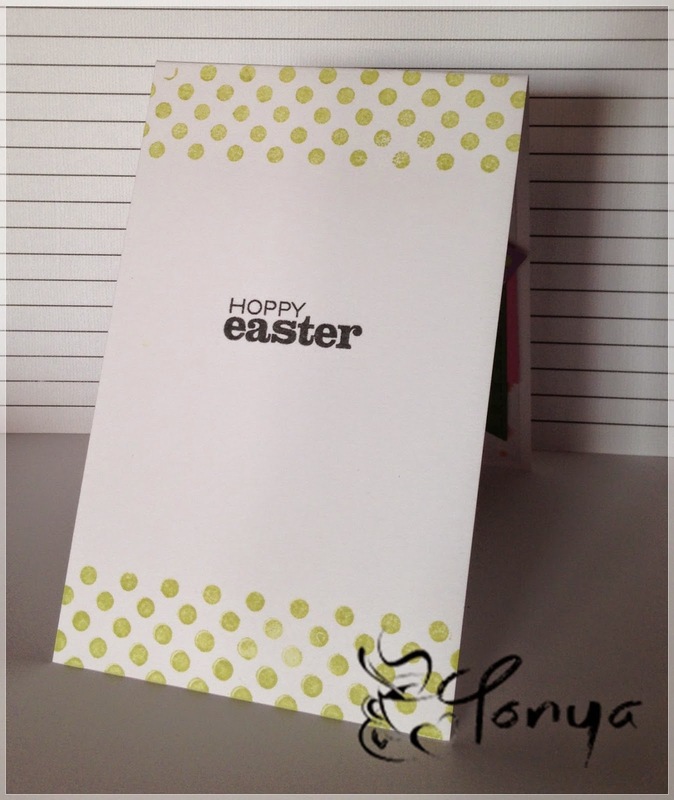 The inside of the card was stamped with the Peachy Keen Background stamp and the Sour Apple ink. The sentiment is from the same Verve stamp set. Coongrats on being the Favourite Pick! 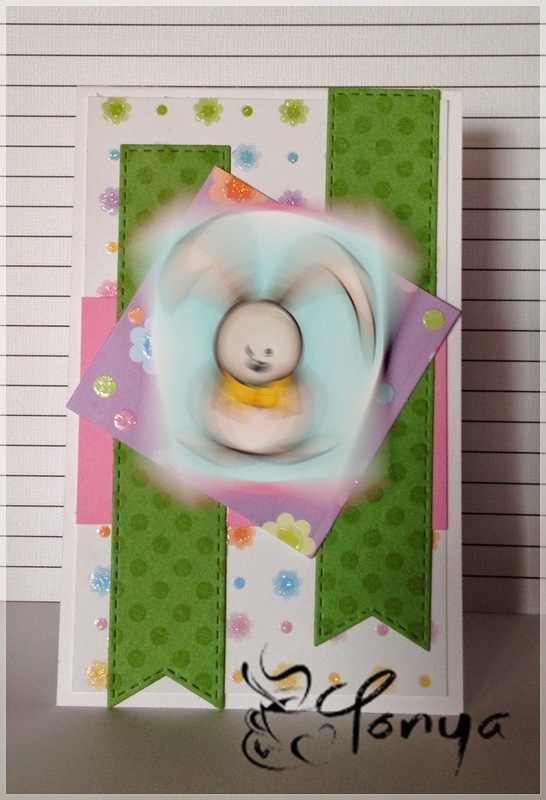 Such a cute card with the wobble, Tonya!